For a seamless transition to fall, treat your tootsies to hooded peep-toes. Pair them with jeans and a sweater and you’ll be ready for anything! Beautiful caged silhouette offers laser cut perforations, an open toe and adjustable buckle for ultimate style and comfort. 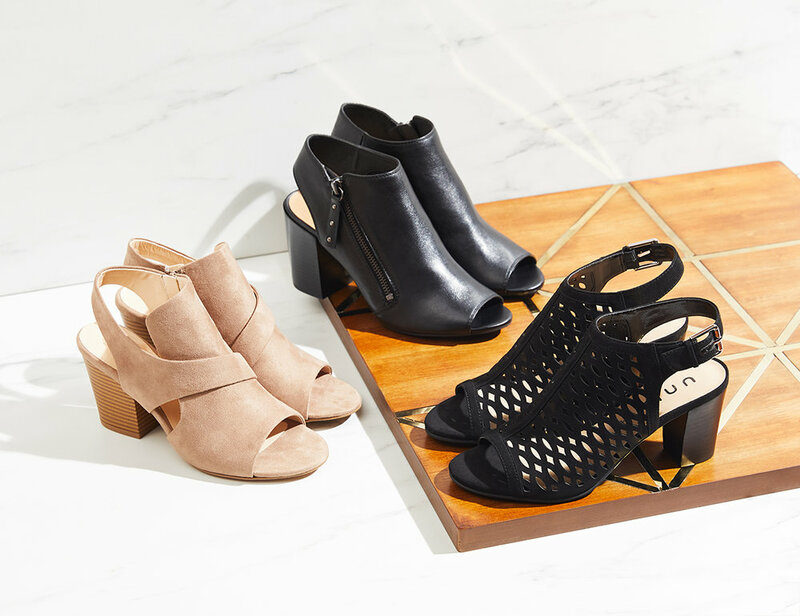 A stacked block heel finishes the look. If there’s a style you simply MUST have this fall, it’s the short bootie. Super trendy and sleek, they’re perfect for weekend adventures and workday wardrobes. Soft, perforated suede upper and comfortable insole will carry you from the pumpkin patch to the apple orchard with ease. Perfect for everyday wear, this fashion flat has a soft, suede upper with stud details. 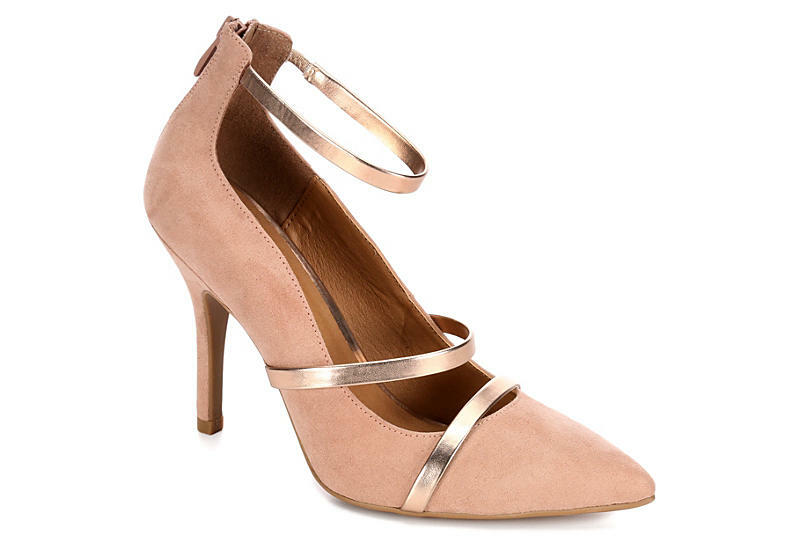 Pair this classic silhouette with jeans or a cute dress, and you’ll be ready for the day. Some shoes are destined to be your favorite. Like this ballet flat in fresh fall tones with stud details. Dress it up or down, and you’ll be right on trend. Farewell to summer canvas, and a big hello to the leather Ecco. Fall’s perfect hybrid of a sneaker and a casual shoe. Dressier than athletics, but more relaxed than a dress casual. Yup, this is the shoe for him. Sharp styling and supple leather construction featuring lace up closure, low top cut and contrast rubber outsole for a hip, modern vibe. Pump up your look with soft suede accented with metallic rings. The rear zipper closure will make getting out of your shoe a breeze! Pumps are trending again. This time, they’re being paired with denim for a fresh new take on fashion. Beautiful details adorn these heels, giving any outfit a big boost of style.